You're right, I did enjoy the review! Apparently his wife does most of the research. I don't think that makes it any better. I'd give it 2 stars. 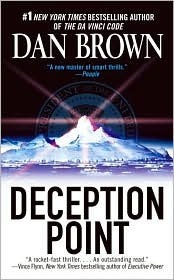 After i read about catching fire and mockingjay ..i felt dan brown's DP is so dragging and is beating around the bush. the thrill didnt work for me. But i appreciate the information , which claimed to be legit and existed somewhere in US. Opinions matter, Ken! I don't think I'd've enjoyed the book at all if I hadn't imagined Mike Nelson, Tom Servo and Crow lampooning it in my head.